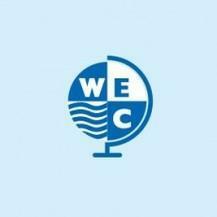 Weymouth English Centre is a friendly, family-run school which was established in 2004. It is accredited by the British Council and is a member of English UK. Together with a team of teachers, activity leaders and others, we organise English language courses for teenagers in Weymouth. Our aim is to provide summer English courses with quality lessons, accommodation, activities and care. We hope the WEC experience will become a milestone in your life. As well as an English & Activities course, we also offer English & Sailing, English & Windsurfing and English & Outdoor Adventure.